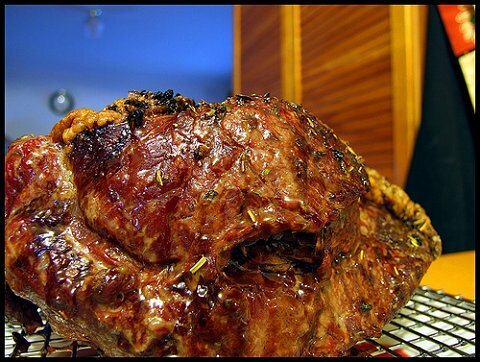 Beef roast recipe. Here we give you two separate, terrific tasty meals you will be proud to serve your family and guests. Heat the oven to 350 F. place the roast on the rack in the roasting pan. Add the remaining ingredients except the water, carrots and potatoes. Pour the water over the roast. Cover; bake for 45 minutes. Uncover; arrange the carrots and potatoes around the meat. baste with the pan juices. Cover; bake, basting occasionally, for 60 to 70 minutes or until vegetables are fork tender and meat thermometer reaches 160 F (medium). serve with pan juices. Now for something a little different be sure to try this delicious recipe. The aroma of garlic and pepper will fill the kitchen when you prepare this succulent roast. Heat the oven to 350 F and place roast on rack in roasting pan. In a small bowl stir together remaining ingredients. Spoon oil mixture over roast. Bake for 70 to 90 minutes or until the thermometer reaches 160 F (medium). Over the years that we have been collecting and preparing recipes we have had some favorites such as beef bourguignon recipe and beef brisket recipe. Beef short ribs recipes have been great and some of the best ground beef recipes are always a family favorite. Boneless pork loin recipes have been old time meal winners. We have always failed in our quest to learn how to cook pork ribs and someday we will succeed.